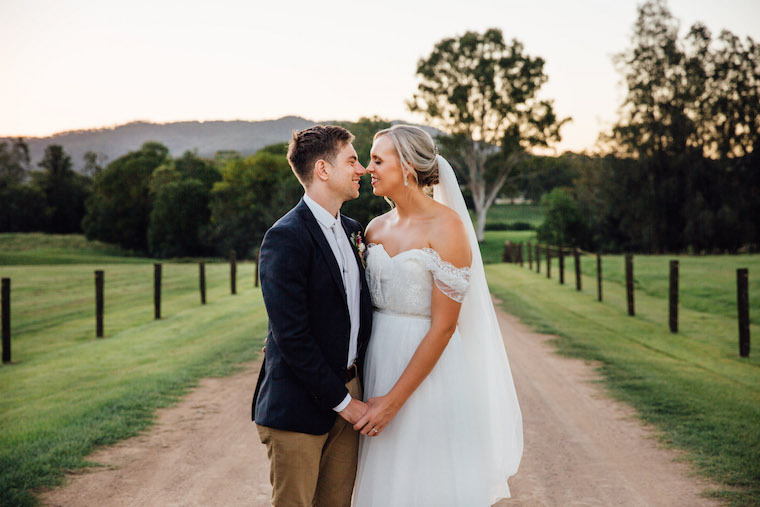 After a spectacular proposal on the Cliffs of Moher in Ireland, Carly and Haydn planned a weekend-long wedding celebration at a Sunshine Coast homestead. Over their nine years together as a couple, Carly and Haydn had built a beautiful life together. The next logical step was to get married. 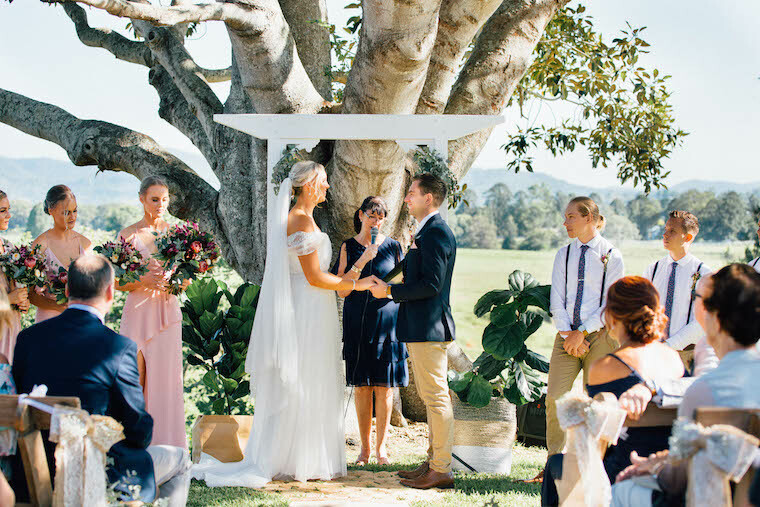 The two best friends and life partners chose to have a homestead wedding on the Sunshine Coast. 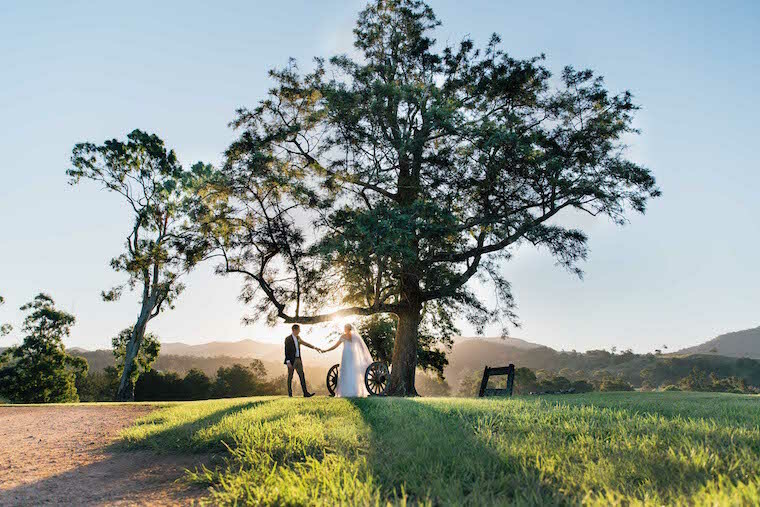 The invited 118 guests and managed to bring their dream homestead wedding day vision to life with their $28,000 budget. We had just arrived in Ireland for the beginning of our 3-month European backpacking adventure with Haydn and our friend Maddie. We had a camper we were travelling around in for a week to explore beautiful Ireland. It was the most perfect day, sun out and clear blue sky (very rare for Ireland) and we decided to head up to the Cliffs of Moher for the day. The view was spectacular. This is where the proposal occurred, right on the cliff’s edge. It was something I am never going to forget. All the stress of travelling with the ring overseas, getting it through customs without myself finding out was completely worth it in the end. Daisy & The Duke, honestly, they went above and beyond in everything, best photographers ever. Vanteen Catering. The food was unbelievably good and the guests just kept commenting on how amazing it was. Rebecca from Vanteen was amazing to work with. Johanna and Jayden, they are incredible musicians and really created the perfect atmosphere we were after. Kennilworth Hotel, they also went above and beyond with the drinks package, they catered for everything we needed and more. It was so good being able to spend time with the guests over the weekend, both with the BBQ we had Friday night and breakfast the morning after the wedding. It was perfect, better than we ever imagined. Just remember that this is your wedding day, you don’t have to do something because that’s what someone else did at the last wedding you went to. Make it your own and bring your vision to life. 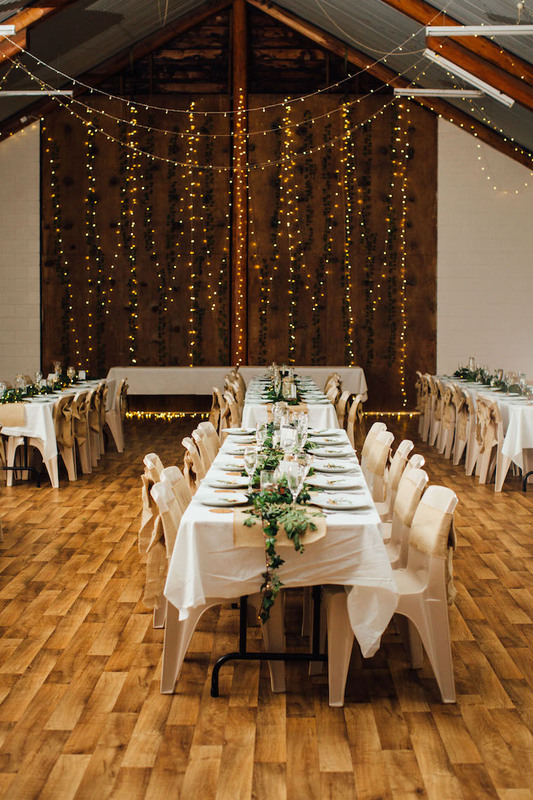 The Bride’s Tree (so much inspiration for weddings on the coast), Facebook pages and reviews (we choose our food caterer from the Facebook reviews), Google and Pinterest (DIY decoration ideas galore). Biggest splurge: The Venue! We really wanted a wedding weekend, a place where all the guests could stay for the weekend and soak up the atmosphere. Best money-saver: Creating all our own decorations for the tables, the ceremony and reception. A lot of work but completely worth it as we were able to create exactly what we wanted. Reception entrance song: Can’t stop the feeling – Justin Timberlake. First dance song: Better off (The Captain Planet song) – Ziggy Alberts.